If you love baking coffee cake on Sunday morning, but you don’t have the time this quick sour cream coffee cake is the perfect solution. 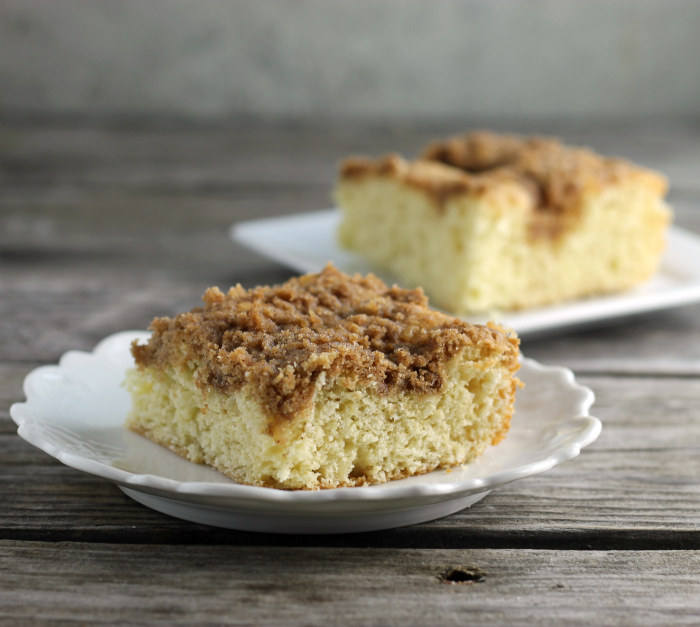 Who wouldn’t love a piece of this moist sweet coffee cake topped with brown sugar crumble?!? If you know me you know that I love my crumble and take every chance that I can to sneak it into my baking. I have made quick coffee cakes for years and years. If you look around this blog you will find a couple or even a few of these coffee cakes. I really love how simple they are to make and how fast they come together. Generally, it takes no more than about 45 minutes to an hour from start to finish. When our kids were young this was the type of coffee cake that I would usually make on the weekends. I always had all the ingredients in the pantry and the kids loved it. The nice thing about quick coffee cakes is that you don’t change them around in so many different ways. Yeah, switching out a few of the ingredients really can switch things around. 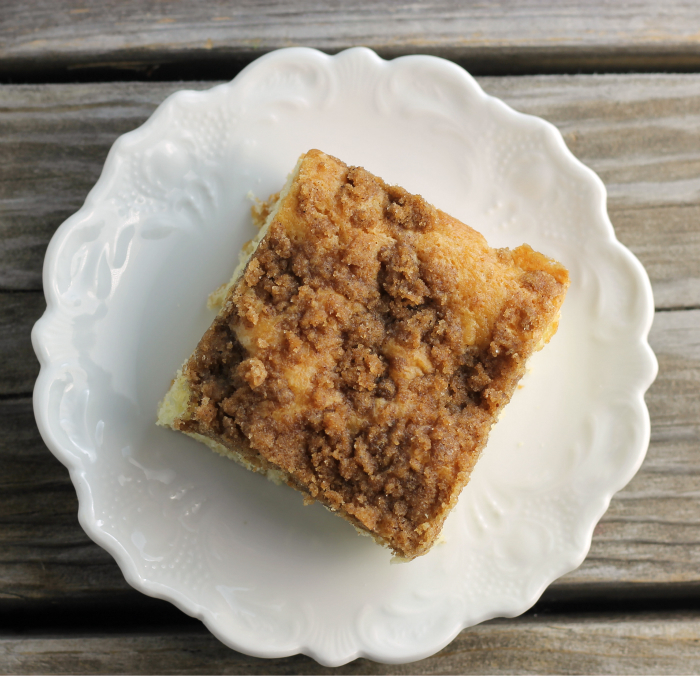 So you don’t have to worry about your family getting bored with the same old coffee cake. With this quick sour cream coffee cake, the sour cream made the cake moister than some of the other quick coffee cakes that I have made in the past. The crumble is just your basic crumble; you know granulated sugar, brown sugar, butter, cinnamon, and a bit of flour. But combine the cake and the crumble together and you have a coffee cake that will be a hit every time you make it. I want to wish all the love birds out there a Happy Valentine’s Day on Sunday. 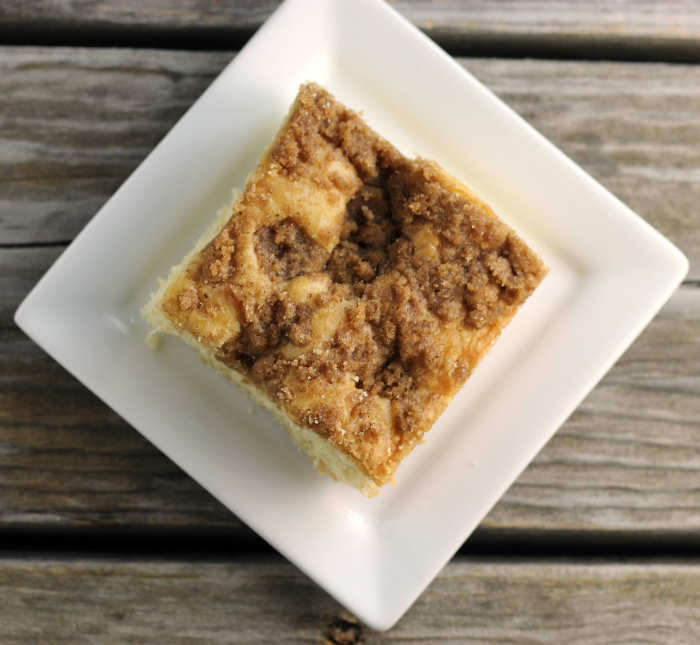 Why don’t you surprise your sweetie with this quick sour cream coffee cake? They will love it. Preheat oven to 350 degrees F. Grease a 9 by 13 baking pan. In a medium bowl combined the flour, baking powder, baking soda, sugar, and salt. In another bowl combine the wet ingredients; stir until they are well combined. Add the wet ingredient together with the dry ingredients and fold together, just until they are combined. Spread in the prepared baking pan. Bake in the preheated oven for 25 to 30 minutes or until a wooden toothpick comes out clean. Very interesting recipe. looks so moist and delicious! Wow! 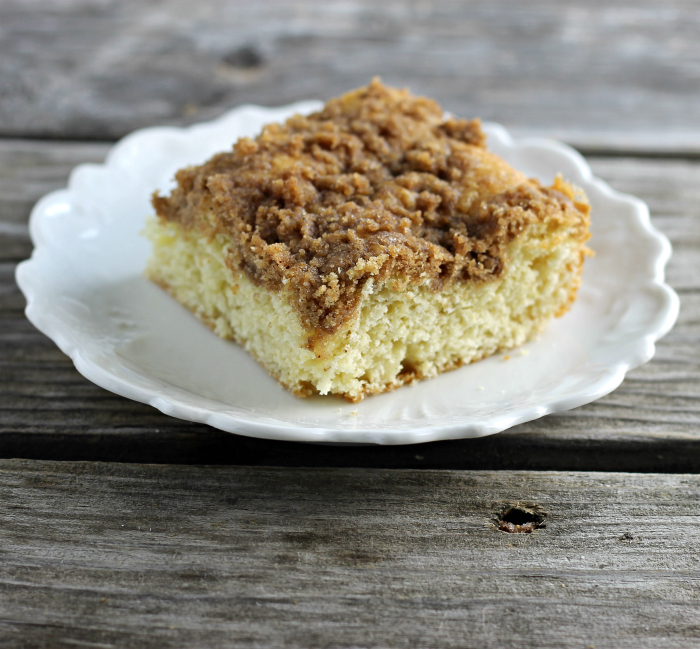 I absolutely love this coffee cake! So gorgeous so delish!